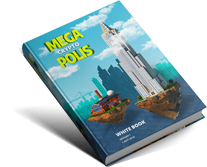 In this section we will try to explain the Whitebook in more detail. One of the most important elements, at this time, is land sales. You will see from the image how these land sales can generate you income from each neighboring sale. 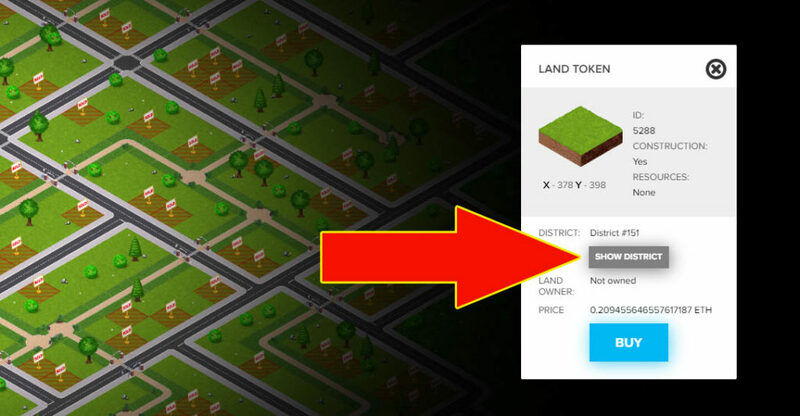 It also explains how when 1 land tile is sold, the neighboring land tiles increase in value. 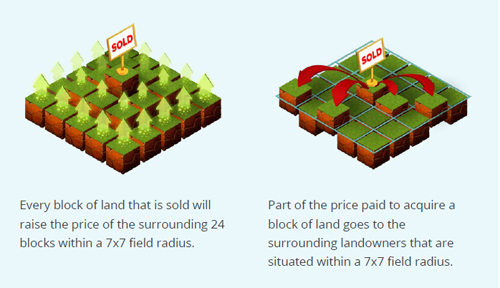 The more land tiles sold in a 7×7 region, the more expensive the next within will be. 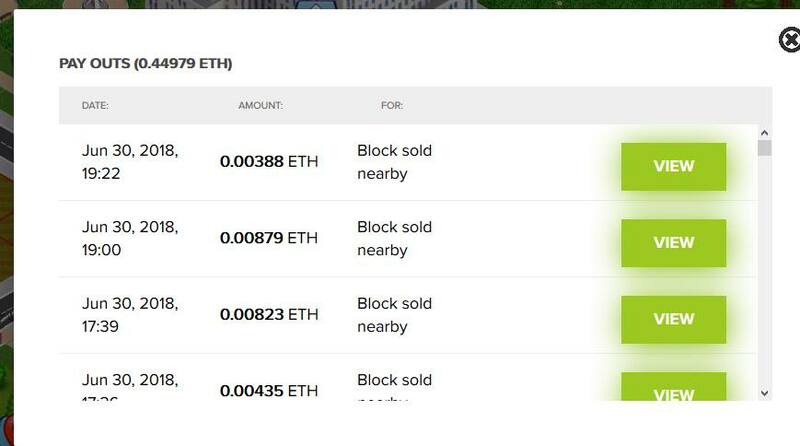 The last tile within a 7×7 area, if no other tiles except land was included, ie all 49 tiles where land, would increase to 7.5 Ethereum. It is unlikely to ever happen because the largest whole land tile area in the game, so far, is 5×5. Has a land tile is sold, with it increasing the value of it’s neighboring tiles, it is wise to purchase a tile early on, to maximise early returns. However, in some scenarios, it might be worth “investing” into more expensive tiles, for strategic reasons. This is explained much further in our Advanced pages. If you want to learn about land buying you can click the button now, or carry on reading to see where the money goes. You will then see the TAX % RATE..
HOW MUCH CAN I MAKE? This is a good question and one that many wannabe land owners care most about. 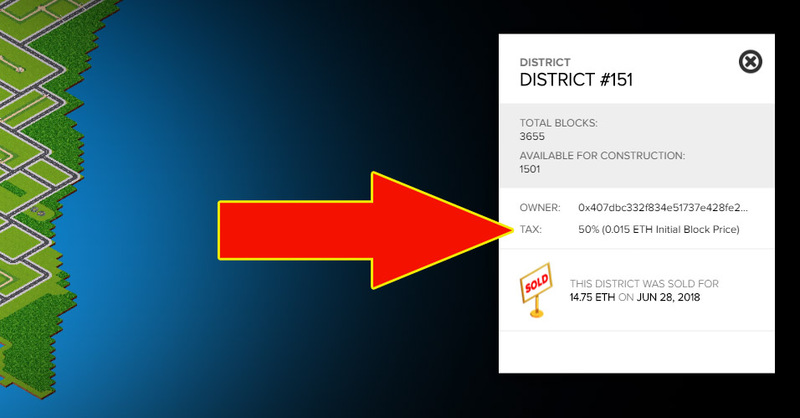 An example of how we can see our land sale payments is shown in the image below. You can find a button at the bottom right of your screen. It is safe to say, you will make more neighboring sales, the earlier you buy a tile within a given 7×7 region. Common sense tells us this. You will also make smaller amounts from the cheaper land sales… and they will naturally increase as more and more are sold close by.